Two years ago, Abita Brewing made official what many people had been doing for years. People down in south Louisiana are fond of blending Abita’s beers to make different concoctions. One of the more popular ones was a blend of Andygator, a Helles Dopplebock, and Strawberry Harvest lager. In 2013, it was called Strawator, and was part of their draft only Select Series. 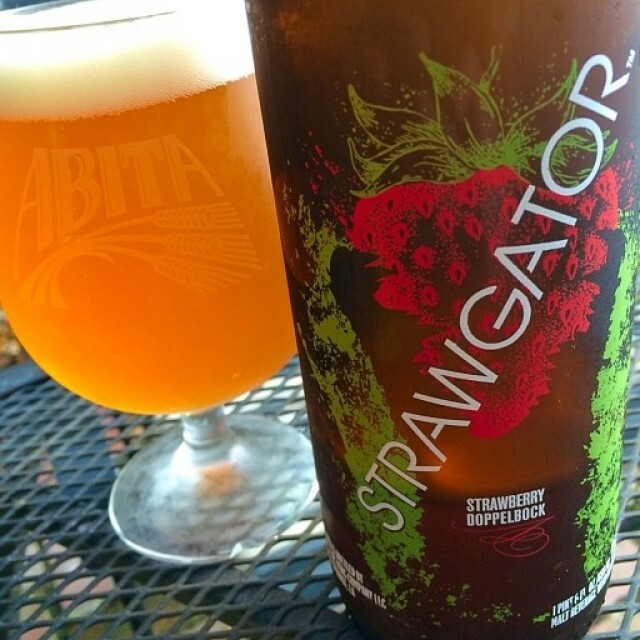 Last summer, it was rebranded as Strawgator, and released in 22-ounce bombers, as well as draft. And now it returns. Abita was kind enough to send me an advance bottle, so here are my thoughts. It pours a beautiful golden color with some haze to it. The smell is all strawberry, with no hops and little malt presence. The first sip is refreshingly sweet, and it drinks much easier than the 8% ABV listed. Subsequent sips bring more and more sweet strawberry flavor. However, this one doesn’t finish syrupy at all. Admittedly, I’m not a huge fan of strongly flavored fruit beers, and 22 ounces would be too much for me in one sitting. But, in smaller doses, I could enjoy it, especially if paired with dessert or even other fruit. This could probably go well with brie, also. This will be a popular beer, as it tones down the Andygator bite with fresh strawberry juice, leading to a deceptively strong fruited lager. Look for it on shelves and at your favorite watering hole soon.